In Miami Shores, FL, there are a number of individuals who need care and assistance with their day to day activities. While many are seniors, there are others who have limited mobility due to a medical condition or surgery. Regardless, at Assisting Hands Home Care, we are proud to provide a variety of part-time or full-time home care services tailored to your unique needs. When you work with us, you will be receiving care from some of the most qualified caregivers in the industry. All of our personnel must first pass a background check before they can move forward. They must also go through extensive training to prove their proficiency in a number of elderly care services, as well as in CPR and first aid. We do all of this because we care about the well-being of our clients and do everything possible to provide them with unmatched service. To speak with our representatives, simply call (305) 425-1835. Residents of Miami Shores, FL, can count on us here at Assisting Hands Home Care to provide a number of senior home care services. We understand that everybody has unique needs, which is why we customize our services based on your requirements. We can assist you on a part-time or full-time basis for anything from general transportation to complete in-home care. Assisting Hands Home Care is a leading provider of full-service elderly care services in Miami Shores, FL. 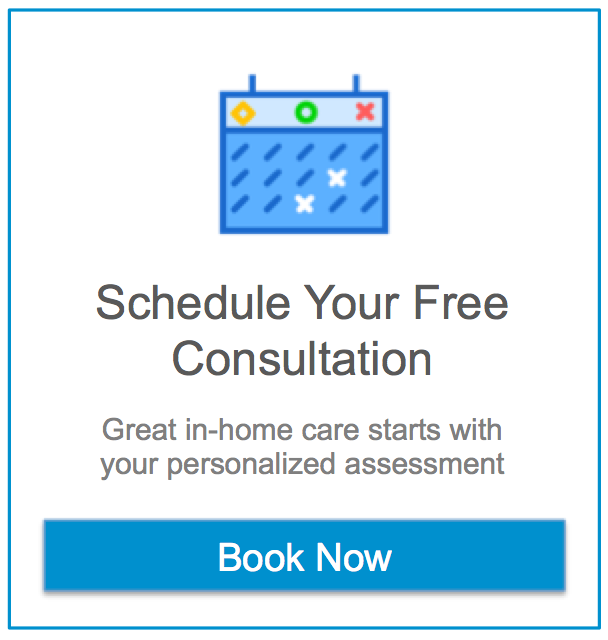 This simply means that we can connect you with caregivers who have the ability to address any of your day to day needs. Whether you need medication reminders or assistance with activities around the house, we are more than happy to help. To learn more, simply give our representatives a call at your earliest convenience. At Assisting Hands Home Care, we provide memory care services to limit the negative effects of Alzheimer’s disease and dementia. In Miami Shores, FL, there are a number of individuals who could benefit from this service. Through social interaction, mental stimulation, and light physical activities, we can slow memory loss and enrich the lives of affected individuals, regardless of their current condition. Discussing end-of-life services with aging friends and family members may be unpleasant, but it is important if the individual to receive the care wants any specific requests to be taken into account. We encourage families and friends to write down these requests for when the time comes that end of life care is needed. At Assisting Hands Home Care, we will be there for you to provide comprehensive hospice care services when that day comes. No matter the needs of the individual in question, we will meet them. We offer these services to those in need in Miami Shores, FL. At Assisting Hands Home Care, we fully understand the difficulties that arise following a major surgery. This is particularly true for aging individuals. If you live in Miami Shores, FL, and need help with things around the house, various transportation services, or anything similar, we can provide it through our post-operative care services. We aim to make your recovery as painless as possible. At Assisting Hands Home Care, we encourage elderly and disabled individuals in Miami Shores, FL, to utilize our overnight care services. Nights are a dangerous time because darkness and fatigue make falls and accidents more likely. Whether it is getting into or out of bed, or simply using the restroom, having assistance on hand is a tremendous safety net. Our caregivers will also respond rapidly in the case of medical emergencies. At Assisting Hands Home Care, we provide 24-hour live-in care services to those in need in Miami Shores, FL. Through these services, we can have a single caregiver live in the home of the client and help with day to day activities. If you are in need of alert care at all hours of the day, then we can arrange for alternating caregivers. No matter your unique needs, we are more than happy to address them. Caring for an aging parent can be just as taxing physically as it is emotionally. This is because many providing this informal care have families of their own to take care of, as well as careers that they must continue to handle. The result is a large amount of stress due to less time off and fewer hours of sleep. At Assisting Hands Home Care, we provide respite care services to residents of Miami Shores, FL, to give these individuals a much-needed break. For many seniors, it is difficult to accept the fact that they will need assistance throughout their everyday lives. We understand this here at Assisting Hands Home Care and provide effective personal care and companion services to make the transition easier. We have learned that building relationships is a key element in providing effective care services. This is why we take the time to truly get to know our clients as we assist them. We offer these services to those in need in Miami Shores, FL. Residents of Miami Shores, FL, are not alone when the time comes to plan for senior care services. At Assisting Hands Home Care, we offer coordination of care services to help with this process. We have a wealth of experience caring for aging individuals and understand what is necessary to provide the best care possible. We tailor care programs based on our clients’ unique needs, take advantage of programs they qualify for, and begin our effective caregiving services. Residents of Miami Shores, FL, have two options when hiring a caregiver: utilize an agency or hire an individual service provider. At Assisting Hands Home Care, we recommend that you use an agency. This is because it shifts a lot of the responsibility off of your shoulders. For example, we handle any required rescheduling, and only offer the services of highly trained and qualified caregivers. When you hire an individual, you are responsible for finding a replacement, or hiring/firing them. To learn more about the advantages of working with a home care agency, simply contact our representatives.